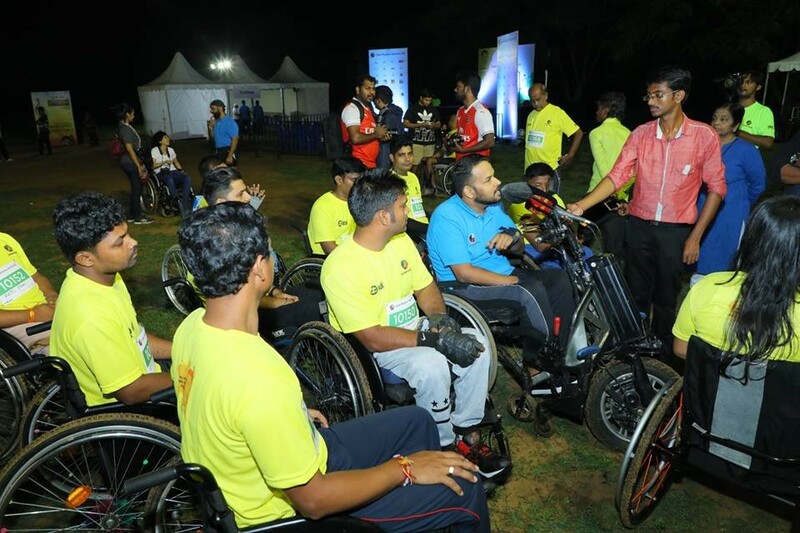 The Spinal Foundation and The Ganga Trust organized this edition of Wheelchair Marathon on 2nd September 2018 at Olcott Memorial School, Chennai. 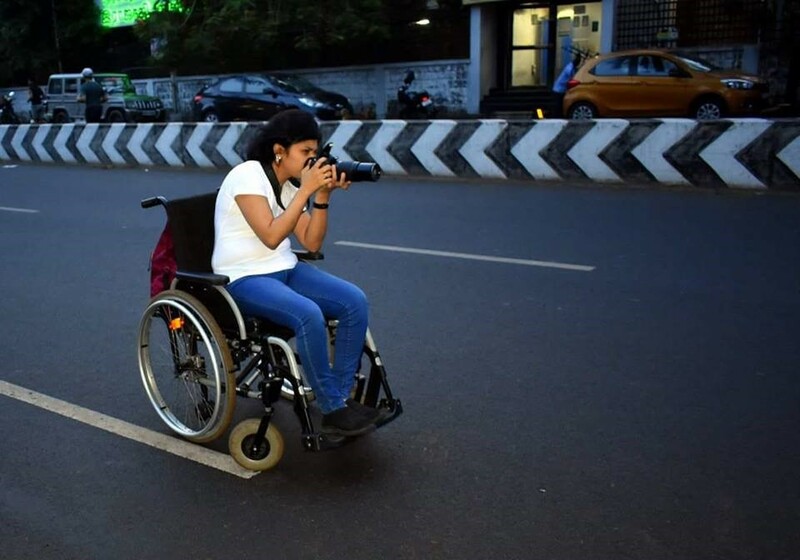 The aim of the initiative is to get a mass crowd and wheelchairs users on the same platform and deliver a specially curated experience for them. 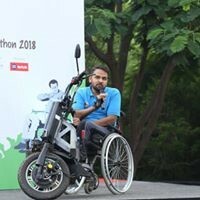 “Wheelchairs users are no different, they are as powerful and impactful as any normal person without spinal injury,” says Vaidyanathan.S, co-founder of The Spinal Foundation. KWM 2018 intrigued everyone around running and again showed that a sport can connect billions of heart together, all are equal in sports. The event was graced by Major. 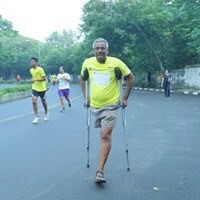 DP Singh, a Kargil Hero and India’s first blade runner as the Chief Guest & Brand Ambassador. 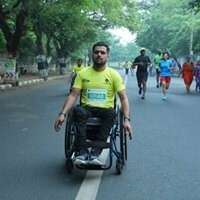 Justin Vijay Jesudas, The Race Director, international para-sports champion representing India. 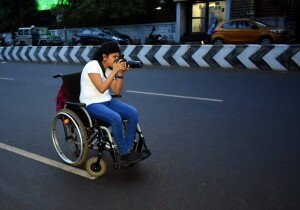 Swarnalatha J, Founder of Swarga Foundation, for the first time images captured at the natural level for wheelchair runners by a wheelchair photographer. 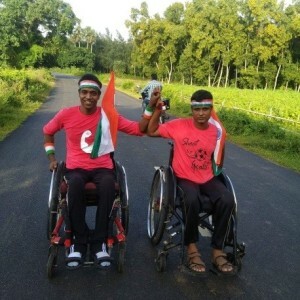 Kamal Kanta and Prashanta Nayak, India’s first wheelchair ultra-runners. 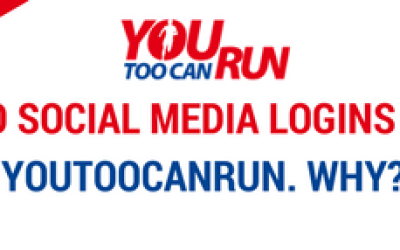 YouTooCanRun bagged this prestigious and unique project on the basis of its conceptualization, technical expertise and comprehensive plan for the project. 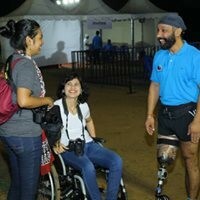 The brief was to raise the bar by utilizing subject matter expertise and deliver a stellar running experience as they plan to expand the event to Bangalore and Chandigarh later this year. 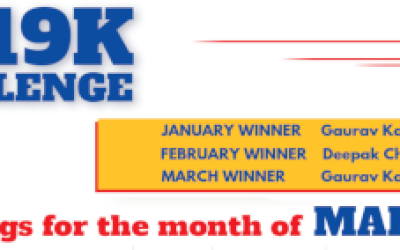 It all started with a dedicated effort to market the event via social and traditional media. 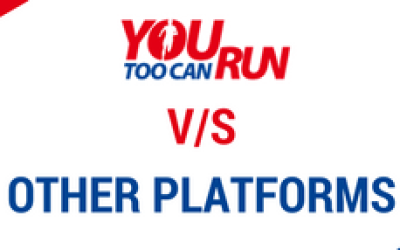 YTCR website enabled the runner to register online. 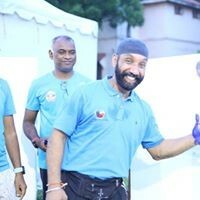 RACES Manager, 24*7 event app allowed organizers to be in-charge on essentials numbers for the event and their details. The RACES Onsite services provided seamless and hassle-free Expo Day affair. 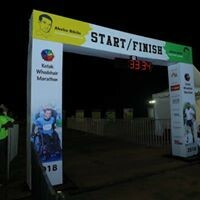 To execute the #KWM2018, the sand area at start/ finish zone was loaded with interlocking tiles providing a hard surface for wheelchairs and they were positioned to start the race followed by other runners. The stage setup was designed keeping in mind the brief to execute it for wheelchair users yet simplistic and classy. The ramp was made from the back of the stage, strict event flow was laid down and stage decorum was maintained giving a Bollywood award function kind of professional feel. 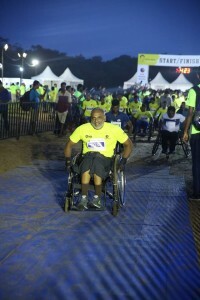 The event witnessed over 1400 runners including 300+ with disability running on the streets of Chennai in moist humid condition near Elliot’s Beach. 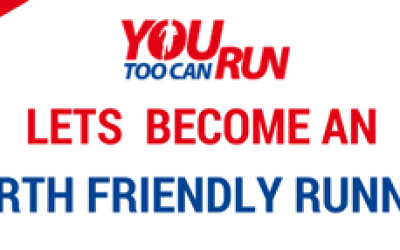 And 100+ from around the world in ‘Run where you are’ program of the event. 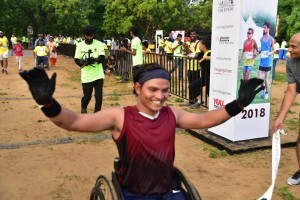 Also, as a part of the research project with Rehabilitation Research & Device Development, IIT Madras – Shailesh Kumar Sinha became India’s first marathon runner on a wheelchair completing 42.195 Km in 3:43 hours.